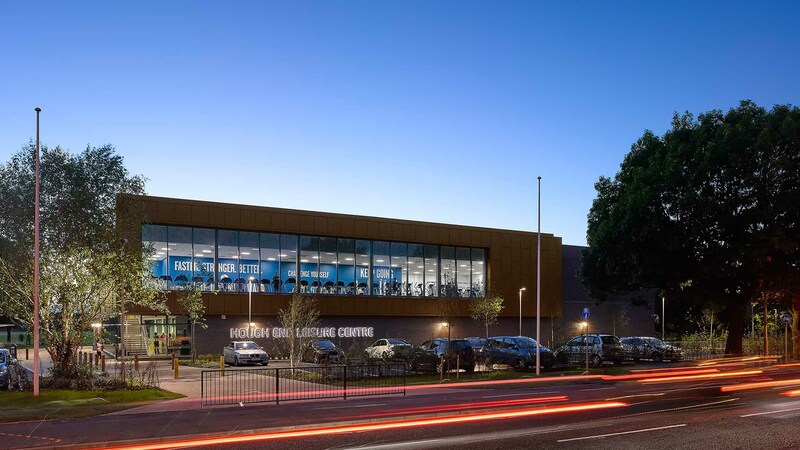 THE NEW LEISURE CENTRE IS SITUATED OFF THE BUSY PRINCESS ROAD IN MANCHESTER AND ACTS AS A GATEWAY TO THE LARGE PLAYING FIELDS WHICH IT SITS ADJACENT TO. 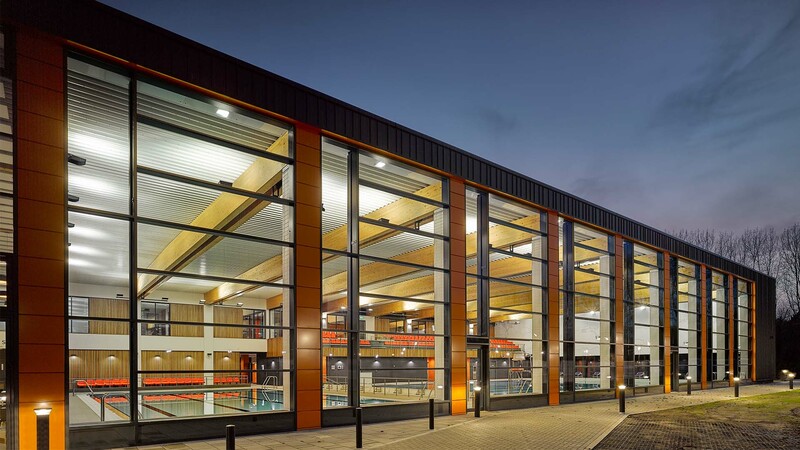 This £9.2m state-of-the-art centre includes a 25m six lane swimming pool which is accompanied by a 17m learner pool, two squash courts, 100 station fitness gym, steam room / sauna and a multi-purpose community space (also housing a dance studio). 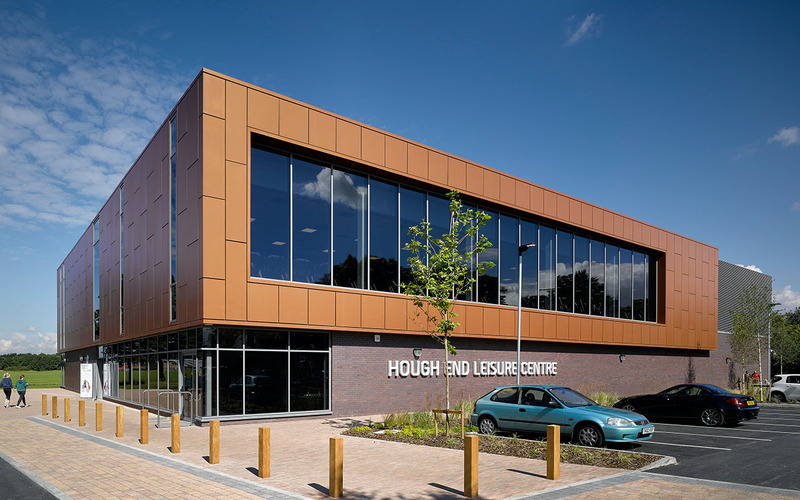 The orientation of the building played an important part in the design of the leisure centre. 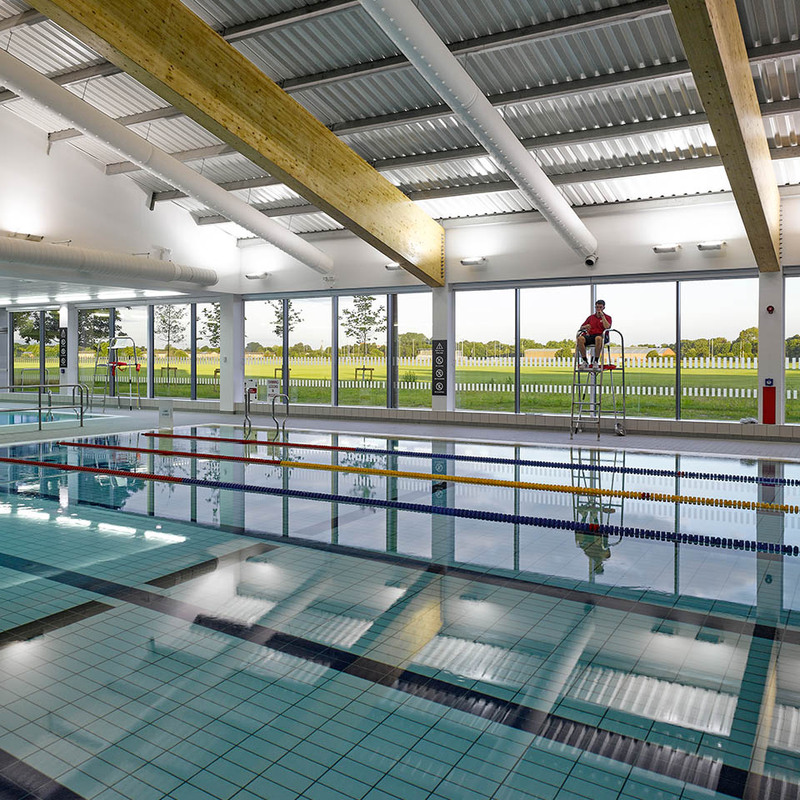 AHR wanted to make the most of the natural vista out towards the playing fields to maximise the park land, ensuring the building was fitted with floor to ceiling windows overlooking the green fields. 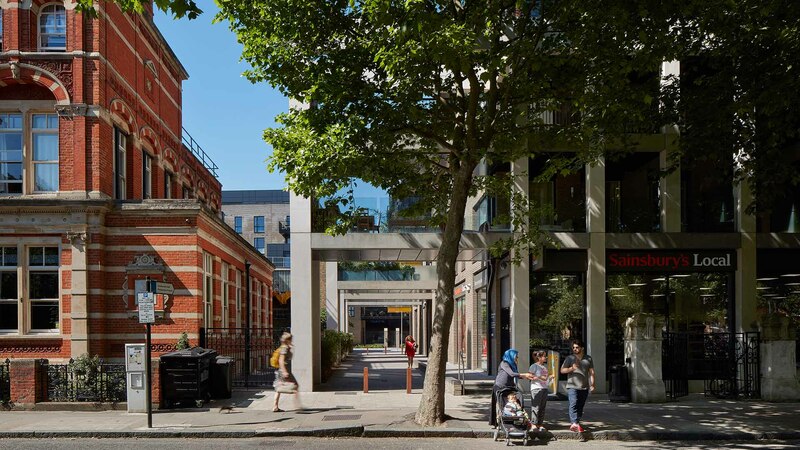 On the adjacent side of the building, the fitness studio faces a busier pedestrianised area of the town – creating links to the local areas. The elevations were designed to advertise the internal functions of the building. The first floor is conceived as a lightweight metal and glass pod, clearly visible from the main road. Similarly the dance studio looks out at the playing field from its elevated position. 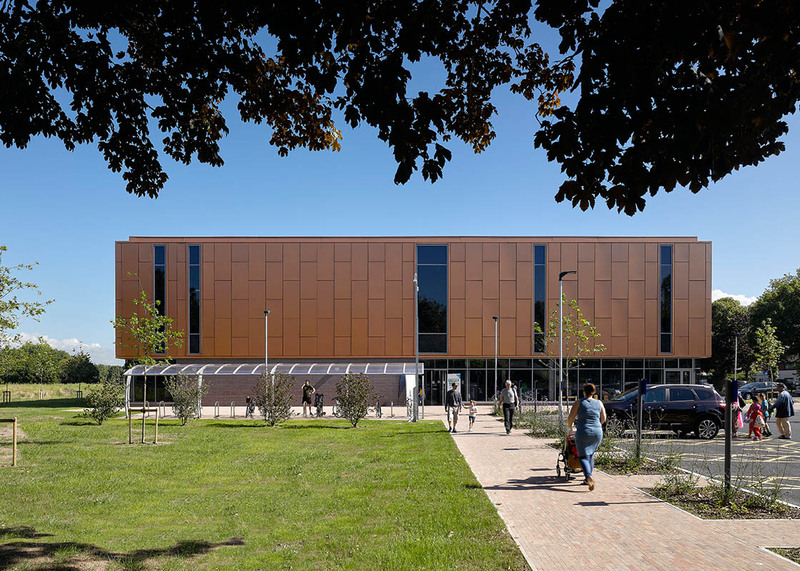 The façade of bronze-toned rain-screen cladding provides the impression of a natural and robust material next to the green landscape of the playing fields. 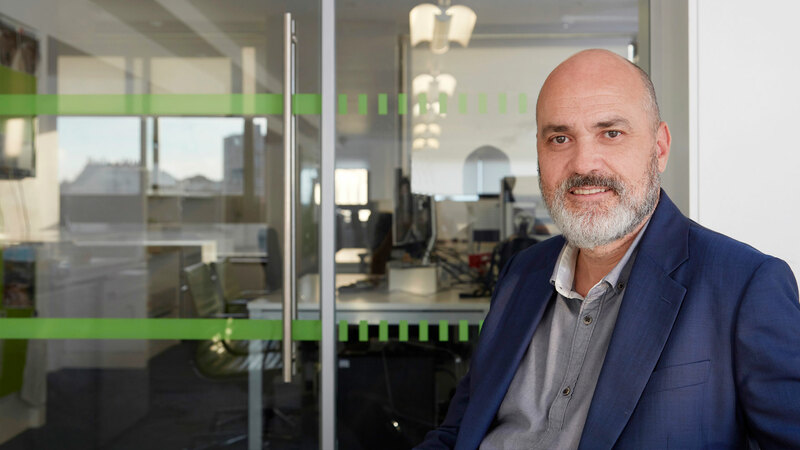 Proposed tree planting was implemented to help improve the sustainability of the site and help define different routes to the centre. 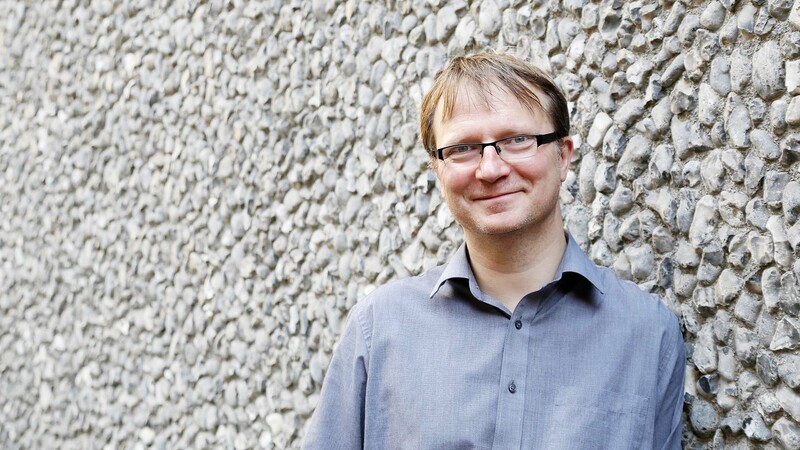 The building itself scored a BREEAM rating of ‘very good’.